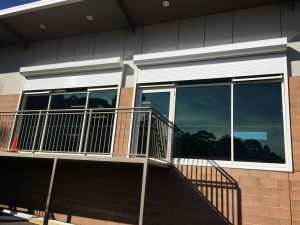 Hammer Aluminium supply and install Bush Fire rated roller shutters that are ideal for the home or business. Our Bushfire Shutters are rated to Bushfire Attack Level (BAL) A40. Hammer Aluminium can deliver manually operated or motorised roller shutters and are made to measure. Contact us for a quote and help get your property prepared for the Bush Fire season.